Since 1991, KSB is represented in Australia by KSB Australia Pty Ltd. 140 highly qualified employees commit to the goals and targets of the global KSB Group by offering excellent service and first-class back up service. 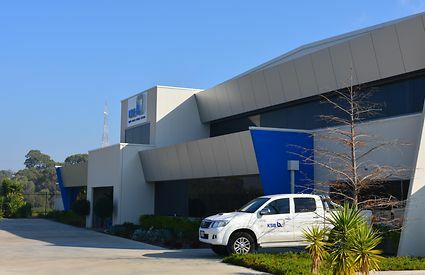 KSB Australia specialises in the supply of pumps, valves, systems and service of pumps. We aim to offer each customer tailored solutions and to be a trusted regional partner who can be reached easily and quickly. Regardless of the task: KSB Australia attaches great importance to sustainability and environmental awareness. In addition, numerous certificates awarded to us are proof of our stringent quality standards. Excellent service and first-class consultancy - this is KSB Australia in Australia. KSB Australia specialises in the supply of pumps, valves, systems and service of pumps. From the beginnings to the latest product: achievements and highlights of KSB Australia at a glance. The KSB umbrella brand comprises a number of brand names which represent high-quality products and services of the KSB Group. KSB develops and manufactures bespoke solutions and offers first-class service on a global scale. In Australia, KSB Australia supports its customers as a competent regional partner. KSB always works in compliance with the latest standards, in all areas worldwide. KSB Australia also places greatest importance on high quality. This is proven by numerous certificates. With sales revenue running to about 2200 million euros, the KSB Group is one of the leading suppliers of pumps, valves and systems. Worldwide, KSB employs more than 16,000 people – all committed to providing excellent service and the highest product quality.